Ford is limiting distribution of the Focus Electric in its first year, though it says it plans to make the car available nationwide eventually; if you're dead-set on a battery-powered Focus but your local dealers don't have any--and you don't want to wait a year or two--you may have to look far afield, which likely means checking out California dealers. The 2012 Ford Focus Electric is fun to drive, matches the Nissan Leaf for range and efficiency, and looks just like a "regular" car, which may appeal to some buyers. It's available only in very limited markets, however, and its $40,000 price will likely turn off some potential customers. The 2012 Ford Focus Electric is the company's first modern battery-electric car, and as such, is hands down the greenest vehicle the company offers. But unlike its closest competitor, the Nissan Leaf, the electric Focus will be available only in small numbers in certain markets. 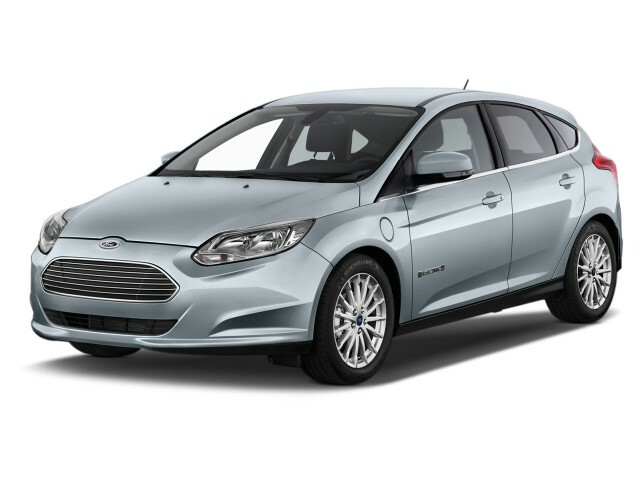 During all of 2012, Ford sold just 685 of its all-electric Focus, and it is placed far more marketing effort behind its two hybrid models, both of which have Energi plug-in hybrid models as well. For Ford, it appears, plug-in cars will be much more popular if they still have gasoline engines as well. The 2013 Ford Focus Electric continues unchanged from the 2012 model. The Focus Electric is an adaptation of Ford's Focus five-door compact hatchback that replaces the gasoline powertrain with a 23-kilowatt-hour lithium-ion battery pack and a 107-kilowatt (143-horsepower) electric motor powering the front wheels. It's built on the same assembly line in Wayne, Michigan, where all gasoline Focuses are produced; aside from the "grille" up front, a couple of chrome "Electric" door badges, and the charging port on the left front fender, you'd never know just by looking that it was electric. If the styling of the Focus Electric doesn't set it apart, the performance does. Its electric motor is powerful enough to spin the inside front wheel when accelerating out of turns, and it has the same enjoyable roadholding of the gasoline Focus models despite carrying several hundred extra pounds. That weight sits relatively low, so the car feels well planted, and its torque makes it a particularly good car for urban traffic jousting--though it starts to run out of steam under heavy load above about 50 mph. 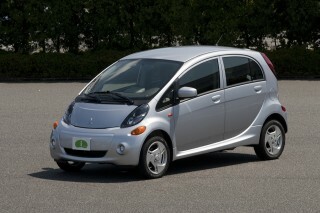 It'll run fine on the highway, but like most electrics, it's punchiest away from stoplights. On a brief 15-mile test drive, we found that Ford has tuned the regenerative braking to be aggressive, though far from as aggressive as that of higher-performance electrics like the Tesla Roadster or the test fleet of BMW ActiveE conversions. One-pedal driving isn't possible, but Ford has balanced the behavior of a conventional automatic with the need to maximize regenerative braking. The EPA rates the Focus Electric at 76 miles of range and 105 MPGe, or miles-per-gallon-equivalent, an efficiency measure that gives the distance an electric car can travel on the amount of energy contained in 1 gallon of gasoline. 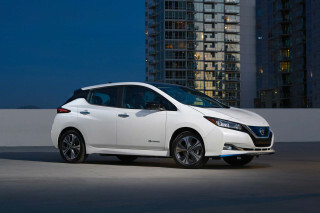 Those figures are slightly better than the ratings for the 2012 Nissan Leaf, which is the major competitor to Ford's electric Focus. One note on the battery pack: Although Ford refuses to comment on it, the lithium-ion cells in the 23-kWh battery pack are provided by Korean maker LG Chem. They're either similar or identical to those used in the Chevrolet Volt range-extended electric car, meaning that Ford has taken advantage of GM's extensive cell test and development work and chosen a known cell. The Focus Electric pack is liquid-cooled--unlike the air-cooled Leaf pack--which should make it more resistant to extremes of temperature. Inside, the Focus Electric is largely identical to any other Focus five-door hatchback. The instrument cluster display is different, of course, as is some of the programming for the center-stack display, but the only other major difference comes in the rear load bay, which is much shallower due to the 6.6-kW charger that spans the wheel arches just behind the rear seat. It reduces load-bay depth by perhaps 10 inches, though Ford has fitted a clever movable floor over the remainder of the space. It either tilts down to meet the bottom of the hatchback opening or lifts up to provide a level floor in what remains of the load space. Because the charger operates at up to 6.6 KW, it will fully recharge the battery pack in no more than four hours when using a 240-Volt Level 2 charging station. 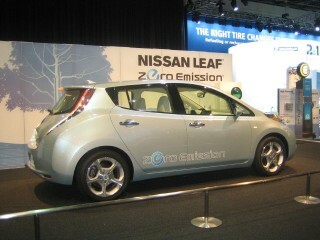 That's twice as fast as the 3.3-kW charger in the current Leaf, though the Coda Sedan also includes a 6.6-kW charger. The Focus Electric offers no option for DC quick charging, however, which the Nissan Leaf and Mitsubishi i both do. The Focus Electric is also expensive, with a list price of $39,995. That's exactly equal to the Chevy Volt, which is not limited to 100 miles or less of range, and $4,800 more expensive than the Nissan Leaf, which is more widely available. As with the Leaf, Volt, and Coda, most Focus Electric buyers are eligible for the $7,500 Federal tax credit for purchase of a plug-in car, plus a variety of other state, regional, local, and corporate incentives--including, in California, single-occupant access to freeway carpool lanes. The main issue around the Focus Electric is not whether it's a competent electric car; assuming there are no news stories about serious quality or performance problems, it appears to be. But Ford runs the risk of overheating expectations for the car by touting the Focus Electric as proof of its commitment to electrified cars when, in reality, it is likely to sell in very low numbers and--for its first year at least--in only a handful of states. That's fine for a startup like Coda or a struggling maker like Mitsubishi, but with Ford dealers throughout the U.S., buyers may expect the Focus Electric to be as available as the Nissan Leaf and Chevrolet Volt. And it won't be. Be clear: This is a very limited production, and relatively expensive, electric car that Ford is launching only in a few markets. Many argue that it's no more than a "compliance car" to meet Ford's requirement for sales of zero-emission vehicles in the state of California. By the end of 2012, Ford was selling the Focus Electric in Atlanta; Austin and Houston, Texas; Boston; Chicago; Denver; Detroit; Los Angeles; San Francisco; San Diego; New York; Orlando, Fla.; Phoenix and Tucson, Ariz.; Portland, Ore.; Raleigh-Durham, N.C.; Richmond, Va.; Seattle; and Washington, D.C. Ford declined to discuss any plans for expanding the car to other markets or any specifics on timing. For more details on the complete Focus range, see the full review of the 2013 Ford Focus range on our sister site, TheCarConnection. 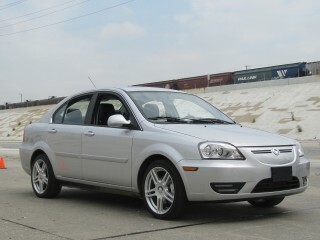 Great car, little to no maintenance, no gas station, great product. Looking for a different year of the Ford Focus Electric?